Biosis 47: Positive Thinking, Modern Medicine, Exercise - Gary M. Verigin, DDS, inc. Gary M. Verigin, DDS, inc. The other day, a patient asked me if I’m always so positive and happy. “Well, yes. And no,” I replied. “I mean, sometimes, I have to really work at it.” Yet having to work hard at something has a funny way of making it seem even more worthwhile. Thoughts are powerful things, each one “real” and “a force,” as New Thought author Genevieve Behrend once put it. Most fundamentally, what we think determines our attitude. Our attitude determines the quality of our life. When you wake each day, do you turn your drooping eyes to the clock, groan or grumble, then turn over for a few more z’s? Or do you open your eyes wide and smile at the sunshine beginning to creep through the blinds? Do you think about all the stuff you need to get done, all the obligations you have? Or do you think about the wealth of opportunities out there just waiting for you to become aware of them? You have some 16 hours for new thoughts, new ideas, new projects, new friends. You have the power to determine just how you will use them. Remember: You only get those hours once. You can’t save them. Once they’re gone, they’re gone! Many philosophers have written about the law of attraction – the idea that what we think or visualize is what we will attract to ourselves. Such “New Agey” thinking can be a little unsettling for some, even though the basic concept is age-old. Gautama Buddha himself said, “All that we are is a result of what we have thought.” Jesus taught similarly: “Whatever you ask for in prayer, believe that you have received it, and it will be yours” (Mark 11:24). Visualization is simply bringing to mind who you are and what and where you strive to be. 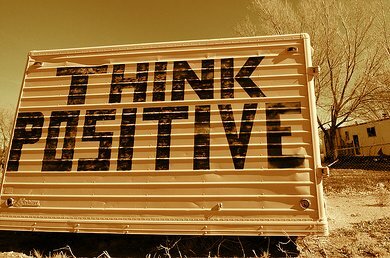 Doesn’t it make sense to put those positive thoughts to work? something you don’t know anything about. 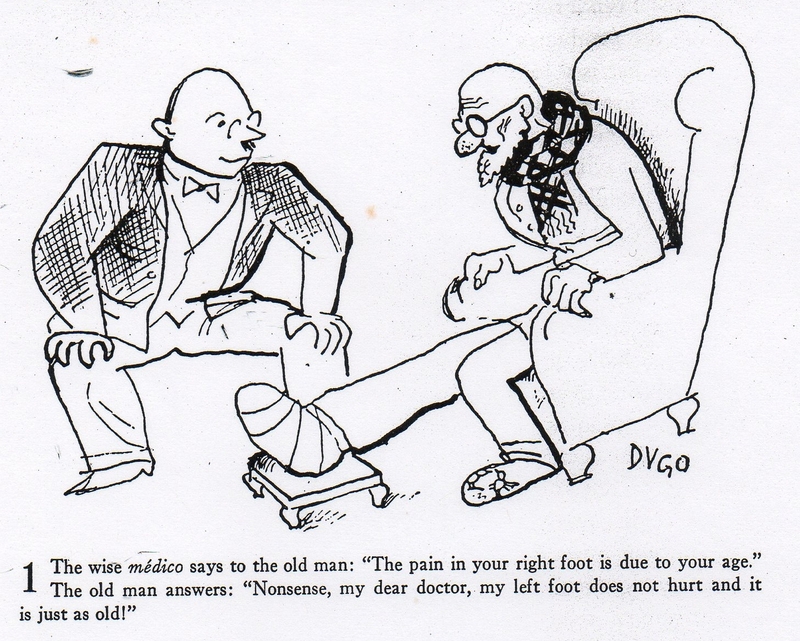 We must learn to rethink medicine. We must learn never to discredit something, be it a hypothesis or just a remote hint, that some things are not always what they seem. The art of medicine, like that of war, is murderous and conjectural. One Sunday morning, Sa ndeep got a call from his older brother Rajiv, the eldest son in a traditional Indian family and also a cardiologist. In fact, the brothers even worked at the same hospital, Long Island Jewish Medical Center. Rajiv told his brother that their father had been having episodes of numbness and tingling in his left arm, with similar but milder symptoms on the right. Rajiv was worried that the symptoms were transient ischemic attacks (TIAs), or mini-strokes, and said he was taking their father to the hospital for evaluation. Sandeep was skeptical. The symptoms were bilateral, yet the nerves aren’t distributed in such a way that two-sided symptoms could manifest. When he had seen his father a few days earlier, his father hadn’t mentioned any symptoms. Sandeep had inkling, though, that his father might be having some job-related anxiety and stress, owing to his personality type. 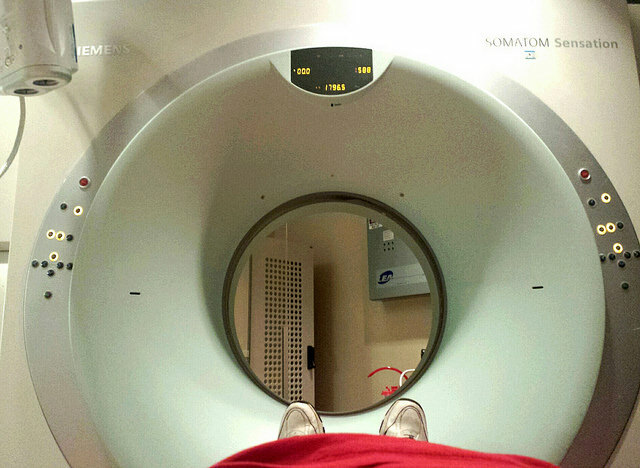 The on-call neurologist likewise suspected a TIA, so she ordered a CT scan of the brain. The results were clinically normal. She then ordered an MRI of the head and brain stem, since early strokes don’t always show up on a CT scan. The results were normal. So she placed him on a blood thinner. When Sandeep arrived, he found Rajiv and their mother at his dad’s bedside. His dad was being medicated by drip bag. Rajiv said that his blood pressure was high, so he’d already been given the drug lisinopril – a drug he’d declined to take before, despite his sons’ urging. Sandeep knew his father had refused all the medications they’d suggested because he no longer trusted drugs to keep him well. And looking at the path that led to that conclusion, it’s really no surprise. About 6 years earlier, Sandeep’s father had begun having acute headaches from time to time, probably triggered by job stress. After several months, the headaches became chronic. The father began taking over-the-counter pain killers such as aspirin, ibuprofen and Tylenol, but got no relief. His physician back home suggested prescription meds. An array of specialists ordered an array of drugs: Flexeril, Fiorinal, Imitrex, amitriptyline, Paxil and prednisone. Totally disappointed and fed up with this situation, the father one day stopped all medications. Two weeks later, his headaches were gone. Now, here he was, caught up in the medical system again. More tests were ordered. First came an echocardiogram to see if perhaps a blood clot had partially dislodged in his heart and came to rest in his brain. That not being the case, they next did an esophageal echo, whereby an ultrasound camera was passed down his throat to get a close-up view of his heart. The observations were deemed unremarkable. A carotid artery ultrasound transcranial Doppler, a lower extremity Doppler and a chest CT all came up normal, as well. At this point, the father was symptom-free, with no speech or other neurological deficits. So the attending neurologist decided to discharge him. She sent him on his way with scripts for the lisinopril, aspirin, Lipitor and the blood thinner Aggrenox. He returned to his son Rajiv’s house to recuperate for a few days before he and his wife traveled back to their home in North Dakota. By the third day, his symptoms had returned, worse than ever. He had virtually no sensation in his left arm. So they whisked him off to the hospital again, where he was examined by yet another neurologist. He was given another CT scan of his head. Preparations were made for a repeat MRI. It was then that a seasoned nurse who was personally attending to the father took Sandeep aside and said that she had observed that his father’s symptoms worsened whenever he would tilt his head as if to touch his chin to his sternum. Sandeep rushed in to where the neurologist was reviewing the CT scan results, feverishly looking for subtle abnormalities. He told her what the nurse had suggested. The neurologist had never directly examined his father, so she instructed the father to tilt his head down, chin to sternum. Sure enough, the numbness returned, suggesting a pinched cervical nerve, a relatively benign condition. They prescribed a neck brace and discharged him. The more Sandeep thought about this whole chain of events, the more disturbed he became. The $30,000 diagnostic workup and a great deal of worry could have been totally avoided had the doctors only examined his father properly. Long ago, that nurse’s keen observation and the judicious laying on of hands were virtually the only diagnostic tools a doctor had. Yet even though physical examination alone should diagnose a pinched nerve with about 90% probability, the skills it takes are often treated as obsolete by the modern medical system. It’s as if there’s an almost irresistible urge to defer to MRIs and CT scans, nuclear imaging and other high tech diagnostics, so as to please the hospital administrators, board of directors and investors – and quell any fear of a lawsuit for “not doing enough.” Hospital administrators and department chairs often view patients as commodities, always concerned about how to increase procedural volume and raise the bottom line. It’s diagnosis at a distance, doctor removed from patient by machines. 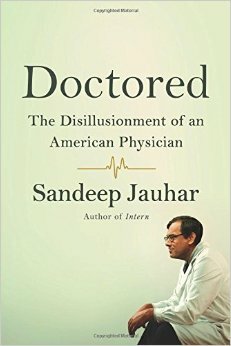 And what physicians like Dr. Jauhar have observed is that their colleagues’ skills seem to have atrophied. Jauhar cites a study from Duke University Medical Center, in which resident physicians were asked to listen to three common heart murmurs programmed into a mannequin. About half of them could not identify two of the murmurs, despite testing in a quiet room with ample time, unlike in the usual hospital setting. About two thirds missed the third murmur. Retesting didn’t improve performance. Another study he discusses involved more than 500 residents and medical students in 31 internal medicine and family practice residency programs on the east coast. The participants were tested on 12 heart sounds that had been recorded from a variety of patients. The residents were only able to correctly identify the sounds 20% of the time – only slightly better than the medical students. Yet it wasn’t so long ago that physicians managed to evaluate heart health with little more but a stethoscope and EKG instrument. It seems clear that, on the whole, physicians today are very uncomfortable with uncertainty. They’re rather uneasy making educated guesses based on their observations, intuition and reasoning. They want numbers, “objective” measurements, before making a diagnosis. Most pernicious of all from the standpoint of education, house officers [i.e., interns and residents] to a considerable extent were reduced to work-up machines and disposition-arrangers: admitting patients and planning their discharge, one after another, with much less time than before to examine them, confer with attending physicians, teach medical students, attend conferences, read the literature, and reflect and wonder. Hall of Fame Yankee catcher Yogi Berra once said, “You can observe a lot by watching.” And you can also learn a lot by looking. Every week, we get call after call from people wanting us to make some kind of assessment as to whether oral conditions may be making their medical issues worse. Sometimes it’s about mercury amalgam “silver” fillings or mixed metal crowns. Sometimes it’s fluoride; sometimes, root canal filled teeth or cavitations (ischemic bone disease). Sometimes it’s about implants. Often, if we do find a medical-dental connection, the patient wants us to do something about it right away. And we want to provide relief as quickly as possible. But we also want to provide excellent care the right way. People often think of physicians and dentists as either incredibly greedy or unselfishly devoted. As ever, the truth lies somewhere in the middle. Sir Julian Le Grand – a public policy expert and one of the main architects of the current “choice and competition” model of health care – has characterized changing attitudes among public servants and citizens through the metaphors of knights, knaves, pawns and queens. This seems to apply to those of us in health care, as well. Dentists and physicians are often a mix of all of these roles. Most entered their profession with an earnest desire to help people, not to follow corporate directives or maximize income. Now, when the average person hears of medical executives receiving millions of dollars in bonuses, the blatant profiteering sickens. The system seems set to promote knavery over knighthood. Recently, the Institute of Medicine estimated that health care spending that fails to improve outcomes amounts to $750 billion every year. Most of that is due to excessive paperwork, administrative costs and unnecessary or inefficient delivery systems. In a commentary in JAMA a while back, Drs. Allan Detsky and Donald Berwick noted how “inpatient care at teaching hospitals has become a relay race for…physicians and consultants, and the patients are the batons.” A 2009 study bears this out. Of more than 2800 inpatients, 75% could not name a single doctor assigned to their care. Among those who offered a name, 60% got it wrong. Like medicine, dentistry, too, is going through a most tumultuous time. We must ask ourselves what we’re willing to accept – and what we’re willing to fight for. Figuring out your value system is critical. Personally, I’ve tried to keep it simple: helping people in need, tending to them in their most vulnerable state and, empathizing with them, making myself a bit vulnerable, too. I try to clear my heart and mind and soul as to what really matters so that we can provide the best dental medicine to those who entrust us to their care. Next time, we’ll focus on some case histories of our own patients who have experienced the ravages of medicine first hand – and the impact of the choices they made in the aftermath. Exercise is one of those things we all know we should do to stay healthy. Still, most of us fail to do enough of it. In fact, only about 20% of adults meet the standard guidelines for physical activity. There are plenty of reasons why it can be so hard for so many of us to get up and moving more: time, money, stress, little perceived immediate payoff – you name it. And since we don’t really notice or feel the ill effects right away, it’s easy to forget this is a problem – until enough time has passed for those effects to pile up and drag us down. Meantime, we consistently hear about new studies showing how even a bit of exercise can improve health or how a sedentary lifestyle is a deadly one. One new paper powerfully shows not only how much of a difference exercise can make but how relatively quickly those changes become evident. The study focused on identical twins whose exercise habits had significantly diverged in early adulthood. Before then, everything was generally the same: environment, diet, and, of course, genetics. With most of the subjects, the differences had arisen only within the last handful of years. The results, as reported by the NY Times, were profound. Granted, this study was small and hardly definitive. Yet it reinforces the point that we all “know” yet don’t always act on: Exercise matters. A lot. One thing you might not be aware of is that there are oral health benefits to exercise, as well. 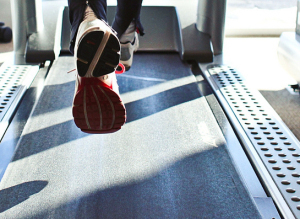 Through recent years, research has shown that those who regularly exercise have a much lower risk of gum disease (which itself is linked to a wide variety of systemic inflammatory conditions, including heart disease, diabetes, stroke, kidney disease, Alzheimer’s and rheumatoid arthritis). Fitness and perio health very much seem to go together. A studypublished earlier this year in the Journal of Periodontology showed that gum disease may be a risk indicator for poor physical fitness, at least in males. 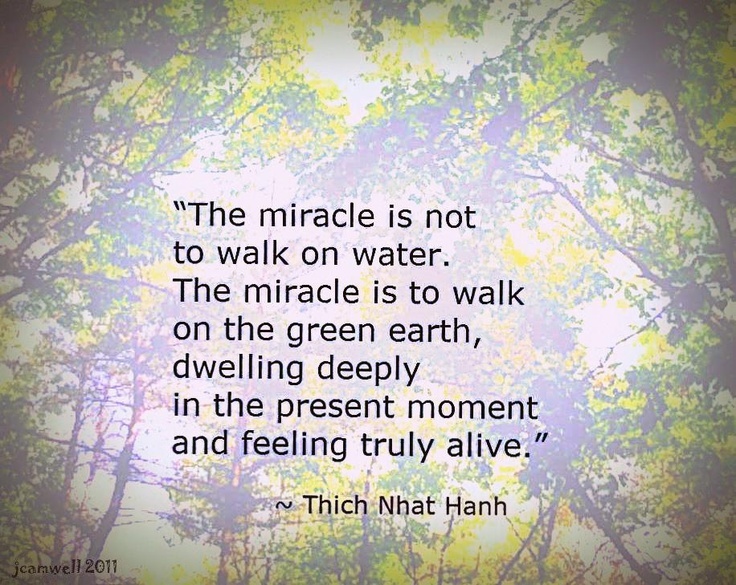 The crux of the matter: Our bodies were built to move. Just as a car left undriven for long periods of time runs less and less well when it is used – if it runs at all – so, too, our bodies.